As part of the 2018 Hull's Heritage Open Days we bring to you A Strange Death of Corsetry. Based on the life and times of Madame Clapham and her Haute Couture Dressmaking Salon on Kingston Square, we move from 1910 to 1920; long hair tied in a bun to the bob; gowns to frocks and women as accessories or servants to citizens with the vote. This piece will take you on a journey from before and after the first world war focusing on the mind sets and society of those affected. As part of the 2018 Hull's Heritage Open Days we bring to you Sharp Street. This performance tells the story behind the memorial that was located on Sharp Street, Newland Avenue for years. This remembrance performance combines the poems from the book Sharp Street by Rob Bell that are read by The History Troupe Players and songs from that era, sung by The Hillbilly Troupe. As part of the 2018 Hull's Heritage Open Days we bring to you an AM and PM talk by Rob Bell: Hull, Port City. Ryszard Kpuscinski, the celebrated Polish journalist, once wrote of the Other. He spoke of the remains of marketplaces, the remains of harbours, trade routes such as the silk road and of ports - places where cargoes arrive, people exchange thoughts, ideas and goods, do deals, make friends and have good times together. Hull was set up as a port City – a staithe to dispatch a ransom of wool to release Richard the Lionheart from prison in Bavaria. Since then, this port City has grown and shaped the character not of a people stuck at the end of a line but of people in the middle of flows: of trade, of people and their stories. Rob Bell is from Hull and has been away for many years. This talk takes a look at Hull from afar and explores the role the port has played in the story down to now and into the future. As part of the 2018 Hull's Heritage Open Days we bring to you Reaching for the land of Green Ginger. From 1880 to 1914, millions of people passed through Hull from Scandinavia and the Shtetl of Eastern Europe in search of freedom and opportunity. One night, a young man walks through the streets of Hull and finds the Land of Green Ginger. He returns to his lodgings and types a letter back home to tell his brothers to come and join him. The stage is the quayside and The History Troupe Players and Songsters will tell tales of some who were passing through. Where did they come from; why did they leave; how did they make it to Hull and where would their dreams take them. First staged to a packed house in Fruit, this challenging piece has been staged in schools and even in Ohio, USA. The poems and stories are by Rob Bell; the songs are written be Derek O’Connor; musical maestro Dave Gawthorpe, the legendary Lyn Acton, Emily Thomson and others will join us on stage to make this a night to remember. The THT “Pop UP” residency at the ABP Pump House on Alexandra Dock is over! With over 2,500 visitors for talks, readings, plays and performance the Pump House has been a huge success on the Hull Arts scene. If anything, tis over before it really started! Mind you, many pop ups across Hull have been the start of something that lasts and THT is determined that we learn from this experience to “pop up” again! In recognition of those who turned out on cold nights for a taste of life on the docks – THT has partnered Yorkshire Film Archive; Dave Gawthorpe and Mick McGarry to stage a unique trek down the Humber. Rob Bell and Daniel Morgan have written a script based around the film and the story of the Estuary. Using original stories and poems from the local poetry scene down through generations, this 45 minute long jazz like riff will celebrate the unique atmosphere of the Dock Side Stage at the ABP Pump House. Yorkshire Film Archive will be incorporating specially curated footage of the industrial heritage of the Humber Estuary from the vaults of the YFA, as part of their Heritage Lottery Funded Hull on Film project. THT will be sad to close the door on the Pump House. Yes, it has had its moments in terms of access and the chill factor has given everyone a taste of life before central heating - when lino met your toes of a morning; everyone wore pullovers - even duffle coats - indoors or, those black out moments when the shilling set on the horizon. And yet, there have been nights when the Dock Side Stage has been Ronnie Scott's without the jazz – just a brilliant place to be. InPort Stories grand finale, led by The Hillbilly Troupe and featuring (not for long) The History Troupe players. The legend Mick McGarry backed by three sedate and charming fellows who will bring down the curtain and house! The world is in flux: shifts in global leadership, popular politics, protectionism, Brexit closer to home. One thing is for certain, ports will play a key role in keeping trade moving. In this Rob Bell has worked as a logistics specialist in 33 countries; has been an adviser to the Confederation of Indian Industries, was a founder of the University of Hull Logistics Institute and is a Fellow of Durham University Business School, Reader at Aberdeen Business School and is a member of the Nuffield College, Oxford Alumni Committee. In parallel, his work as a writer and with the History Troupe has a clear emphasis on making heritage happen. Rob Bell has worked as a logistics specialist in 33 countries; has been an adviser to the Confederation of Indian Industries, was a founder of the University of Hull Logistics Institute and is a Fellow of Durham University Business School, Reader at Aberdeen Business School and is a member of the Nuffield College, Oxford Alumni Committee. In parallel, his work as a writer and with the History Troupe has a clear emphasis on making heritage happen. Beggar’s Bridge have continued the tradition of fine acts to come out of Hull, blowing away a few cobwebs at folk and roots venues across the North of England and making their mark at festivals all around the country. With a sound that straddles both the contemporary and traditional arms of folk music, they take slices of East Yorkshire folklore and turn them into compelling song-stories, and their outstanding musicianship is complimented by some fascinating background stories, often interlaced with a good helping of Yorkshire humour. Be prepared to tap your feet, sing along and laugh out loud in roughly equal measures! The Bagpipe Maker's Baby, Julian F. Woodford – A Fairy-tale-like short film with a magical realistic twist. Directed by Chris Hopkin and written by Julian F. Woodford, The Bagpipe Maker’s Baby’s strong narrative drama centres on a mix of emotions and ideas around love, community, isolation and family. Starring Richard Avery, Annie Kirkman and Gordon Meredith, it is based on a short story of the same name, and was written with the English north-east coast in mind, in particular Holderness. In the sometime awful world we live, the film is deliberately hopeful. Dead Bod Films was set up in 2015 to produce original narrative films in or about the Humber region. Their first film, The Bagpipe Maker’s Baby, was produced in 2016 and is now out on a limited release including selected screenings, festivals and DVD. 1855 was a difficult year for Charles. His wife, Rebecca has lost her job and their son; their home could be next. Desperate for a solution, Charles decides to break his promise to Rebecca. Putting a gang together, the planned robbery of a nearby stately home goes badly wrong when the police arrive. Determined not to go to jail he fights his way free and with the promise of a new life in America persuades his wife, and her brother, to join him as a fugitive. As they run things begin to unravel and the police start to close in. Charles tries to hold it together but Rebecca's health takes a turn for the worse, and America is a very long way away. The great Australian Poet called Hull “the UKs most poetic City”. He could have added that poetry here comes in many shapes and sizes. Performance poetry, with tales of the street and percussive delivery, is strong. So too poems from the page influenced by the canon of the City and beyond. And now, there are poets from all over the world that add to the mix. Hull is a place with a singular voice delivered with multifarious flair. This session brings the Mutiny Poets, Rob Bell, Norah Hanson, Graham Hamilton and others to the stage. We will read from the page the stuff written under huge skies as the estuary flows. The great Australian poet Peter Porter called Hull the UK's most poetic city. This performance combines poetry and anecdote from many of the poets and poems that helped Porter to stake Hull's claim. From Norse Saga and on to Chaucer; Andrew Marvel down to William Mason (who turned down the offer of poet Laureate); Stevie Smith and Philip Larkin; the catalytic Douglas Dunn who gave us 'Terry Street'; onto the serial award winner Sean O'Brien and Peter Didsbury (the guv'nor). Then Roger McGough, Tom Paulin, Andrew Motion all blew in before a mutiny and a car load of poets exploded onto the scene. Phew! This is the Hull Fair of poetry: swings, roundabouts, candy floss, palm reading, loud music and garish lights, Bob Carvers and the big dipper. To nick a phrase from Keneth Tynan - if the English use words like misers then us 'Ull lads spend them like sailors. The History Troupe players will be in full voice. The performance will be around 65 minutes in length. A car load of poet’s mission is to promote Hull's spoken word artists and collaborate with spoken word artists from afar. Organising workshops, events and festivals for tonight’s special guests we have Lucy Clark, Jodie Langford & Mike Watts. This fable on the future of Hull is based on the story of Prophemi, the leader of the River People. Times have been tough and he gathers his people together to tell them some home truths and lay down a challenge to them all – how best to shape the future. The story unfolds with his analysis of failed harvests and problems with trade. Prophemi invites along some trusted advisers and then, a woman called Wyke arrives to help out. The History Troupe players are joined by Emily Thomson and others with songs written by Rob, Emily and Derek O’Connor. This piece was first seen on the River Hull to open the Freedom Festival in 2015. This is the acoustic version with a fresh twist – Prophemi goes off into the future. This version explores fresh ground. Two ordinary women reflecting through poems and letters, how the women of Hull coped and carried on, through those times when their men were away. Afterwards we will be showing exerts from Rupert Creed's film, 'No Surrender'. No Surrender is a film about a century of Hull’s waterfront told through the history of the city’s dockers. This workshop is sponsored by the University of Hull and part of the NCOP widening participation initiative. The Box - This is a story of life on the East Hull docks in the 1970’s. This fictional tale is rooted in the banter and the cargoes of that time. Across Britain, industries were struggling to adapt to new technologies and, with containerisation, the Hull docks were in the front line of these challenging times. This is the era of Wilson, Heath and Mike Yarwood; the three day week and labour unrest across steel, mining and the docks at home and the Vietnam war overseas. From 1880 to 1914, millions of people passed through Hull from Scandinavia and the Shtetl of Eastern Europe in search of freedom and opportunity. 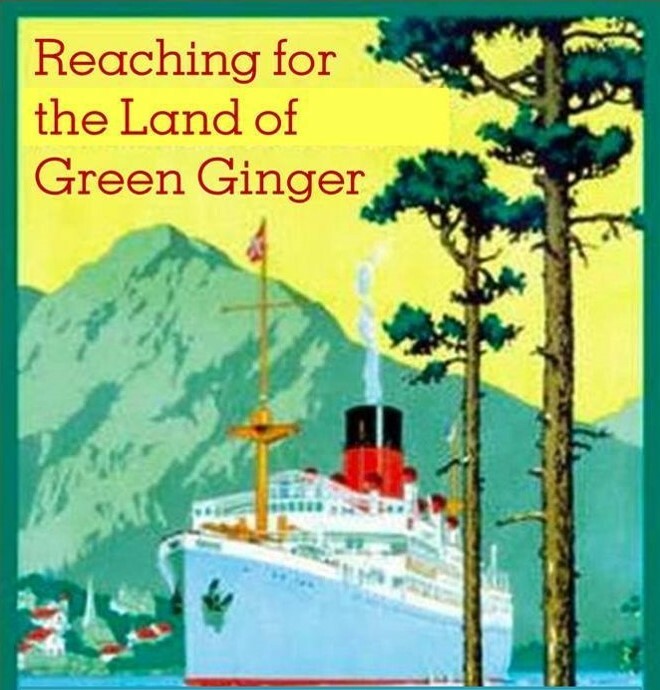 One night, a young man walks through the streets of Hull and finds the Land of Green Ginger. He returns to his lodgings and types a letter back home to tell his brothers to come and join him. The stage is the quayside and The History Troupe Players and Songsters will tell tales of some who were passing through. Where did they come from; why did they leave; how did they make it to Hull and where would their dreams take them. Projects include commissions from external clients, support for third parties, training or funded programmes of activity. In the 1960s the face of shopping began to change as national chains started to take over local independent department stores. Here in Hull well-known names like Bladons, Willis’s, Thornton Varley, Carmichaels disappeared as groups such as Debenhams moved in. The change continued in the 1970s with the appearance of the first discount warehouse in the UK opened by Hull firm Comet on Clough Road. This led to an explosion of out of town shopping centres and Comet continued to lead the way for many years. Drawing on his experience of being employed in the 1960s by Thornton Varley / Debenhams and through the 1970s/1980s by the Comet Group, David Pattison takes a humorous look at the tactics used in both areas to bring more customers through the doors. The History Troupe presents Two Poets and two comedians. In this medley of words, we have Ian Winter Ian is a writer, actor, director and performance poet having won prestigious slams including the Huddersfield Literature Festival slam and York’s Say Owt Loud Champion of Champion Slam. He has also supported some of the UK's top performance poets in Luke Wright and Attila the Stockbroker. He has taken his own plays to the Edfringe gaining great reviews and produced them in Hull gaining further great reviews. Hull’s own Mike Watts who is a writer/spoken word performer and author of three collections of poetry, his fourth collection is to be published by ‘Wrecking Ball Press’ anytime soon. Lyn Tidder, Hull born lass of many talents who has performed in Edinburgh and London, Lyn Tidder is a performer who’s never been afraid to say it as she’s seen it. As close to the bone as you could ever hope to get, be ready for anything. And finally, Dave Smith who is a Hull based comedian finding his feet really well on the UK circuit, audiences are left with a friend for life, after hearing his deep depths of self-deprecation. He’s the council estate loveable rogue we all know and love. Dave has very quirky take on life, if it’s not his bad hairline, it’s his crossed eyes, if it’s not his eyes, it’s his boring voice. He is a warm energetic comedian who can entertain all. Let him take you to the murky truth about sharing bath water with family; the joys of eating chips fourteen times a week and why being ‘ugly’ has its advantages. A Car Load of Poet’s mission is to promote Hull's spoken word artists and collaborate with spoken word artists from afar. Organising workshops, events and festivals for tonight’s special guests will include, Emma Fee, Lucy Clark and Dave Smith.